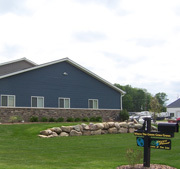 Green Planet Lawn & Tree Care is located in Burton, Michigan and is a locally owned and operated company with old fashioned ideals and unbeatable customer service. We offer complete property maintenance from common weed control and fertilization to insect and disease control, as well as tree and shrub care, and a range of additional services to make your property the best it can be. Leave your property maintenance to the professionals at Green Planet! Green Planet Lawn & Tree Care is a full service company; working with everyone from private residential customers to apartment complexes, churches, condos, small businesses, large businesses, realtors, and school districts. No job is too big or too small; so for the healthiest, greenest turf and landscape call Green Planet today. We have over 40 years experience in the lawn care industry, and will treat your property as if its our own. The Green Planet annual lawn care program includes custom lawn fertilization, weed control, and winter defense applications for a healthier, more vibrant lawn. Your landscape is an investment. Protect and maintain your trees and shrubs with Green Planet's comprehensive tree and shrub care program, designed for you to get the most out of your investment. We also offer protection from Emerald Ash Bore insect damage, so call today for a free evaluation and estimate by a certified professional! At Green Planet we offer a cost effective program that provides a safe playing surface which will stand up to a great number of events while still playing on natural grass. Green Planet Athletic Field Maintenance located in Burton , Michigan is a full service company specializing in all aspects of turf management. Our knowledge and experience makes us the most qualified company to care for your fields. We pride ourselves on our ability to maintain athletic fields, keeping them in the best and safest playing condition. No matter what your budget, we will work with you to customize a program for your school to improve your athletic fields while staying within your school’s individual budget. Green Planet Lawn & Tree Care offers an array of additional services to improve your property’s look and value. Services such as aeration, overseeding, grub control, insect control, and perimeter pest control will greatly improve the health and curb appeal of your property.